We can mix vegetables and fruits together for a super powerful nutritious smoothie. 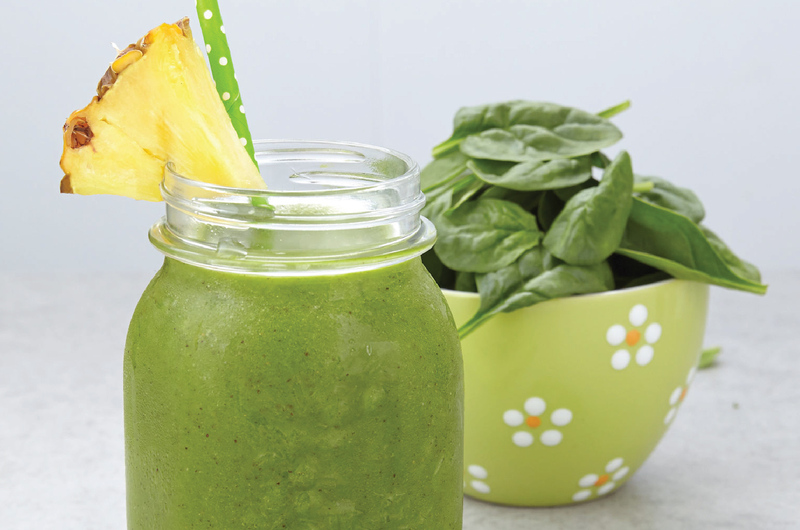 Baby spinach and pineapple are LOADED with vitamins, minerals and fibre. Pineapple is fruity. Baby spinach is tasteless! So you won’t even know this smoothie has vegetables in it. Add some honey or more coconut oil. 2) Blend for 10 – 15 seconds.